Would you like to grow more sales? Would you like your teams fully engaged and motivated? Do you want your customers to spend more in store and return more often? If you have answered yes to any of these questions and you want to know how – then this session is for you. Would you like to grow more sales? Would you like your teams fully engaged and motivated? 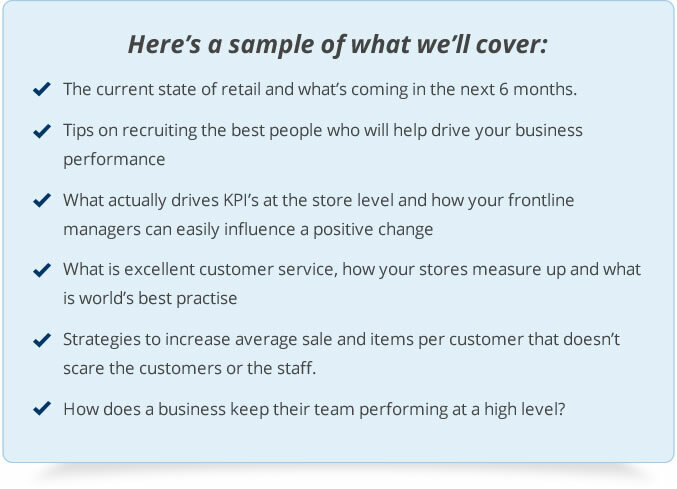 Do you want your customers to spend more in store and return more often? If you have answered yes to any ofthese questions and you want to know how – then this session is for you. As I’m sure you are very aware, the current state of retail is challenging with most businesses finding traffic counts are down, or at best static and most customers spending less per visit. Competition is at all time high (and will continue to get tougher) and a number of customers are moving to online. Against this backdrop, it is challenging to recruit and retain the best talent. Research is even telling us that customer service levels are at an all time low, nearly 60% of consumers believe that customer service has declined over the past 5 years. Furthermore over half of these consumers didn’t purchase as a result of poor customer service. I believe retail service can be turned around and sales can grow providing a business has their focus in the right place. We can help your company to combat these issues, and we’ll show you how during this interactive and informative event. Hold down CTRL (PC) or Command (Mac) as you click for multiple selections. 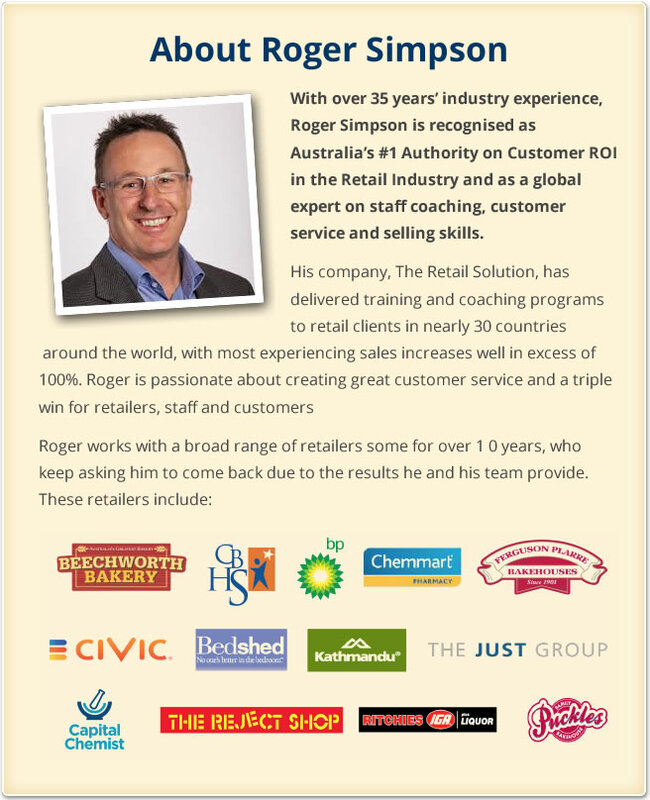 “Roger has worked with the Beechworth Bakery since 2000 and he’s passionate about coaching and training exceptional customer service and getting the best out of people.